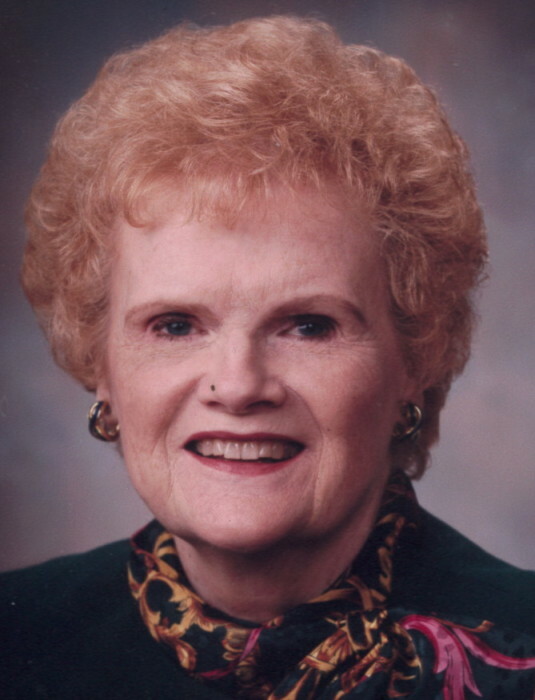 Jeannette C. (Tarney) Sickafoose Thouvenin passed away on Wednesday, January 16, 2019 at Copeland Oaks in Sebring, Ohio. Jeannette was born on August 6, 1924 in Coshocton, Ohio to the late Grace Flora Groene Tarney and Guy Russell Tarney. She graduated from Grandview Heights High School – a suburb of Columbus, Ohio. After graduating from Ohio State University College of Pharmacy, she worked at Aultman Hospital as Director of Pharmacy from 1947 to 1989. She belonged to a variety of national, state and local pharmacists’ organizations. Jeannette was a member of the American Pharmacists Assn., American Society of Health System Pharmacists, Ohio Society of Health System Pharmacists, a charter member of Akron Area Society of Health System Pharmacists and Stark County Academy of Pharmacists. She received numerous honors: Ohio Society of Hospital Pharmacists – Walter M. Frazier Award, Ohio State University College of Pharmacy – Distinguished Alumni Award, Pharmacist of the Year Award from the Stark County Pharmaceutical Assn., Akron Area Society of Hospital Pharmacist recognition for Four Decades of Exemplary Service. Jeannette was also a member of the First Christian Church of Malvern. She is preceded in death by her first husband W. Wayne Sickafoose and second husband, Eugene V. Thouvenin. Survivors include a step-son, Mark A. Black and his wife, Carol R. Black of Alliance; grandchildren, Ben (Jennifer) Black of Hanoverton, Melody (Bryan) Jones of East Sparta, Amy (Douglas) Jones of Canton; great grandchildren, Shane Black, Madison Jones, and Annalise Jones. The family would like to express our sincere thanks to the staff at Copeland Oaks Building 8 second floor for their tremendous care and love for mom while she was ill. We would also like to thank Grace Hospice team for their constant care, help and encouragement. Funeral services will be Tuesday, Jan 22, 2019 at 11:00 am in First Christian Church of Malvern, 4046 Coral Rd, Malvern, OH. 44644, with Mark Black and Terry Bailey officiating. Interment in Sunset Hills Burial Park. Visiting hours will be Monday from 6 – 8 pm and one hour prior to the service on Tuesday 10 – 11 am all at First Christian Church of Malvern. In lieu of flowers, contributions can be made to; Jeannette Thouvenin Scholarship Fund in Pharmacy #667220 Ohio State University, Office of Planned Giving, 1480 West Lane Ave., Columbus, OH 43221-3938.